I don’t care about what people say or think of the Olsen twins, I’ve been a big fan of theirs since I was young. I never really watched them on Full House, but I did watch their videos, movies, read the various book series and their own short-lived TV series. I just love how they have grown, from TV stars to moguls to fashion icons. FASHION ICONS…this is what is mostly associated with the Olsen twins. Yes, they dress uniquely, sometimes out of the box, but that’s what makes them fashion icons. Mostly everyone today tries to dress like them or use them as inspiration to find their own personal style, so there’s no reason why these two wouldn’t come out with their own book. 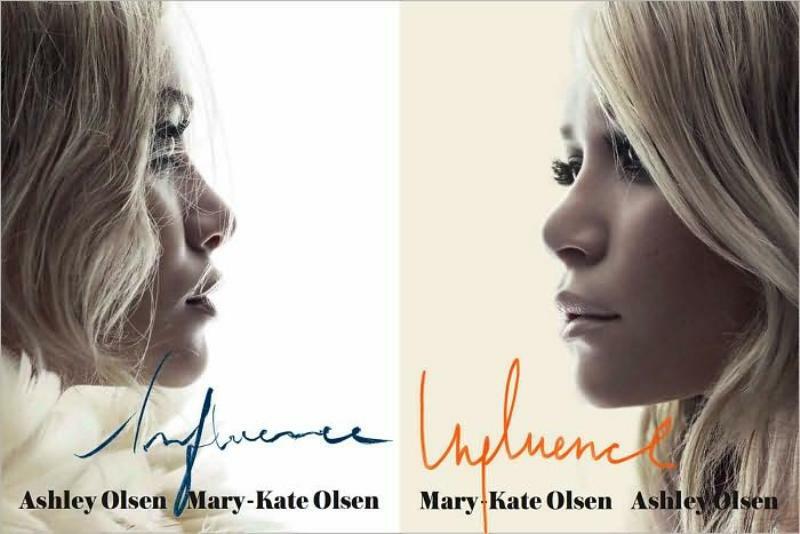 Influence includes the twins’ reflection of their lives thus far, personal pictures and interviews from many people that have influenced them, like Karl Lagerfeld, Lauren Hutton and Christian Louboutin. It should be a great read and is already praised by Nylon Magazine. This book is also said to be a good coffee book, who wouldn’t want to display such a fabulous book on their coffee table? The book comes in two different covers, one featuring Ashley and another featuring Mary-Kate, buy the one with your favorite Olsen or both!